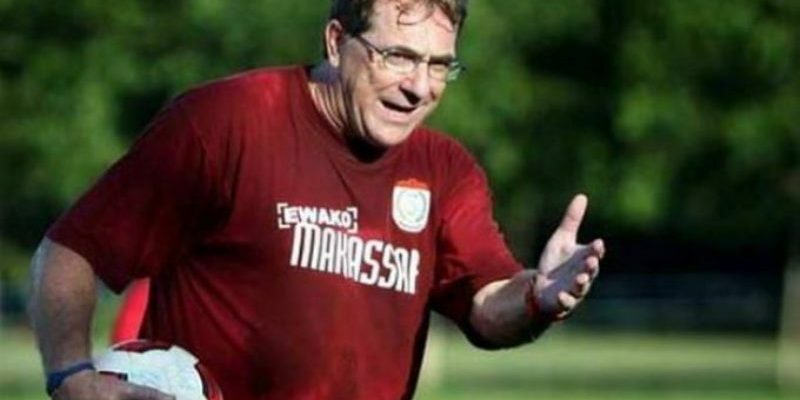 MAKASSAR (13 Jan 2019) – Robert Rene Alberts has resigned as the head coach of Indonesia Liga 1 side PSM Makassar on health grounds. In a statement to the club: “it is with regret that I need to inform you that today, 2019 01 12, i will officially resign as the HEAD COACH OF PSM MAKASSAR IN INDONESIA. The main reason is some serious health issues. The doctors have strongly advised me to take a break for a while. For the next three months, Ii have been put on medication. And after this period there will be a review of my condition. Robert is one of the most successful coaches in the ASEAN region. The Dutchman first moved to Malaysia in the early 90s – winning the double (League and Malaysia Cup) with Kedah in 1993. He then won the Singapore League title with Home United FC in 1999 before making a mark for himself in Indonesia where he won the Indonesia Super League 2009–10 with Arema FC in his very first season. He also led Arema to the runners-up spot for the Piala Indonesia in 2010. In 2013, he lifted the Malaysia Premier League with Sarawak before returning to Indonesia for a second stint. With PSM Makassar, he led them to the Indonesia Liga 1 runners spot twice – 2017 and 2018.